Are You an Extreme Green Parent? My mom started recycling way before it was cool, so I was on an eco-friendly path from an early age. Somewhere though, my interest in going greener and greener took on a life of its own, and I found myself (on Valentine’s Day) angrily reprimanding my husband for buying me roses that were not fairly-traded or organic. I watched the expectant smile leave his face as I destroyed his kind-hearted attempt to celebrate a supposedly romantic holiday. That’s when I knew for sure: I had gone to the green extreme. Have you done the same? Let’s face it: Americans are a pretty competitive bunch in general. We have a long history of our obsession with competitions and winning: with sports, health fads, even having the most accomplished child. Being competitive about being green is a logical step in our psyche. And it’s not all bad. 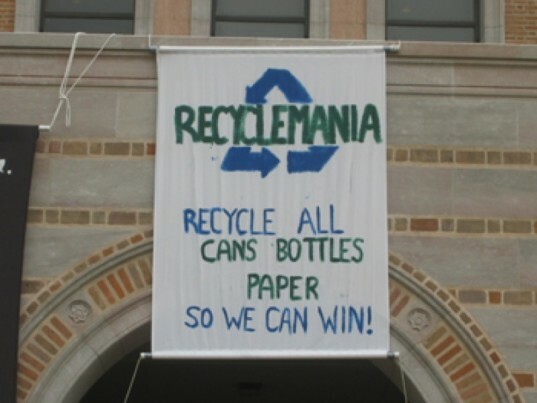 Consider events like Recyclemania, a “friendly competition” among North American colleges in categories such as largest amount of total recyclables and least amount of waste per capita. So when does our obsession with going green cause us to lose the essence of being environmentally friendly and, in simpler terms, being nice to other human beings? For me, having a child was definitely one of the main factors in my spiral into green extreme shame. Pre-kids, being eco-friendly seemed a lot simpler. We ate locally, kept our thermostat low in the winter, and didn’t really buy much “stuff”. But as soon as I became pregnant, the seeds of green obsession were planted. I bought books about organic products and parenting, cloth diapers, and only organic baby clothes. I don’t regret doing these things (and found some great books and brands that way), but I started to feel like green cred became the only thing that mattered. I could lie and say that the after Elijah was born, after the sleep deprivation, post-partum anxiety, and stress of having a colicky infant, I chose disposable diapers from Seventh Generation, forgave myself for that unused pile of cloth diapers, and called it a day. 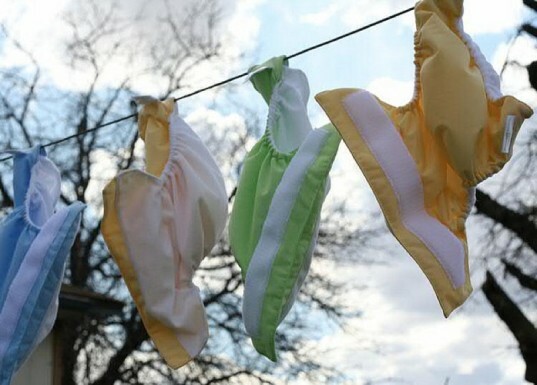 But I spent more hours than I would like to admit to trying to figure out just how much more eco-friendly it was to use cloth diapers than disposable. I looked at studies that examined water usage and diaper fabrics and every few months pondered making the switch (I never did). Since I was a big fail at the cloth diaper thing, I tried to make up for it in other ways: I drove people crazy when I carefully inspected the composition of every toy that was gifted to Elijah. I refused to allow anything that was not 100% organic to pass by the lips of my sweet boy. And I was kind of obnoxious to other moms and dads who didn’t seem to be making as much of an environmental effort as I was. While I was carefully selecting the items that entered our house for their green seal, I also was mentally keeping track of what everyone else was buying for their babies and often noting – mostly to myself – how irresponsible they were. And then one night I caught myself judging some close friends about their diet, saying to my husband in a reproachful voice, “They’re vegan, but they don’t care at all about organic or local.” A few months later the Valentine’s Day flower episode occurred. I’m trying to find a better balance and looking at the big picture instead of treating every decision I make as one that will lead directly to the earth’s destruction or salvation. For example, seasonal eating can be more of a challenge with a little one. We have been taking my son to farmer’s markets since his first week on this planet, but it is only recently that he has begun to understand the concept of seasonal food availability. 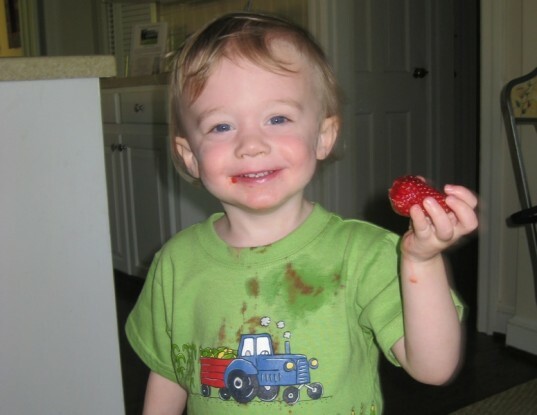 Last winter, he kept asking for blueberries at the grocery store, and just as I was about to suggest he have some pretzels instead, I thought, “Why am I denying my child the opportunity to eat fruit and encouraging him to instead eat something processed?” So I came to the conclusion that having a healthy eater who occasionally eats out-of-season fruit is more beneficial to this planet than one who relies on packaged foods that involve transportation costs as well as energy usage for their creation. In this economy, most of us have to make financially-driven choices more often than we would like. Do we buy the organic cotton onesie or the organic produce? Do we purchase only toys made from sustainably harvested trees or do we splurge on an eco-friendly crib? Ironically, while I was in one of my more critical stages, I was also buying more things instead of trying to make do with what we had. Having a baby clothes swap or asking friends with older children to pass down toys or other baby items would have reduced my footprint in an even more sustainable and less consumer-driven way than buying only organic baby clothing. Few of us have the luxury to afford everything green, and it’s difficult and ultimately unnecessary to spend all of our time obsessing about it. While I’m not advocating that we toss our green ideals out the window when we have kids, I am arguing that ultimately we need to find a way to progress in our own eco-friendly goals, while acknowledging that we may not always be able to choose the very greenest option. In my extended circle of friends, there are some who are interested in eco-friendly living and others who don’t give it much thought. They are not on a mission to destroy the planet, but they just don’t buy into all the environmental obsessions that I do. I used to feel that it was my place to educate everyone, to help them see the light of eco-friendly living, but I’ve learned to do something else: keep my mouth shut. Not all the time, but more often. And when I do open it, I try and use more tact and less judgment. Anyone will tell you that you catch more flies with honey than vinegar (well, anyone brought up below the Mason-Dixon line will). When my friends ask for suggestions or recommendations, I give them aplenty. When they make a green decision, I applaud them. I buy them gifts that are easy on the planet for their birthdays, and I cook them tasty vegan, organic, and largely local dinners. But I’m not in any place to reprimand or openly criticize someone. And I want to teach my children that we help people gently, not through embarrassing them or berating them. I want them to know that we live this way because we are lucky enough to have the knowledge, the financial ability, and the interest to do so. We can use our commitment to living a green lifestyle to separate ourselves into a weird sort of green elite. Or we can approach it as we would any other lifestyle choice and lead by example. Sharing information on toxins with our friends is one thing; trying to guilt them into giving up the only cereal that their picky toddler will eat for breakfast every morning will only alienate them. In the meantime, I’m trying to practice what I preach with the words of Mother Theresa on my mind: “In this life, we cannot do great things. We can only do small things with great love.” While I do actually think we can do great things in this life, I recognize that it is often the smaller things that add up. 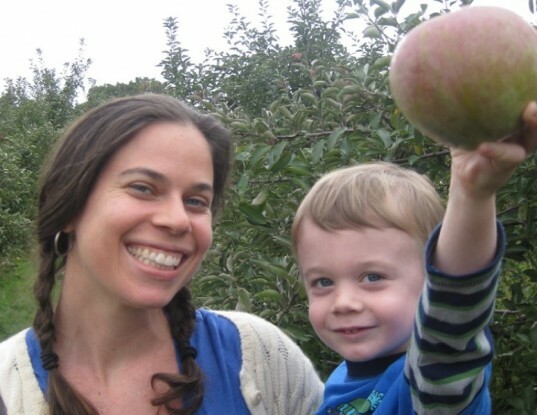 So I try and take it day by day and make the green choices that mean the most to me and to my family and which do not appeal to my competitive side, like helping my son make his tenth trip of the day to the recycling bin or supporting a local farm by going apple and pumpkin picking. I still strive to live in an eco-friendly way, but I focus on the positive of what I am doing instead of the fact that I am not perfect in my eco-living practices. I hope that I have beat the green extreme demons away for good. My mom started recycling way before it was cool, so I was on an eco-friendly path from an early age. Somewhere though, my interest in going greener and greener took on a life of its own, and I found myself (on Valentine�s Day) angrily reprimanding my husband for buying me roses that were not fairly-traded or organic. I watched the expectant smile leave his face as I destroyed his kind-hearted attempt to celebrate a supposedly romantic holiday. That�s when I knew for sure: I had gone to the green extreme. Have you done the same?